And Park Hyatt shows the way! A food festival, a-la-carte done to perfection. 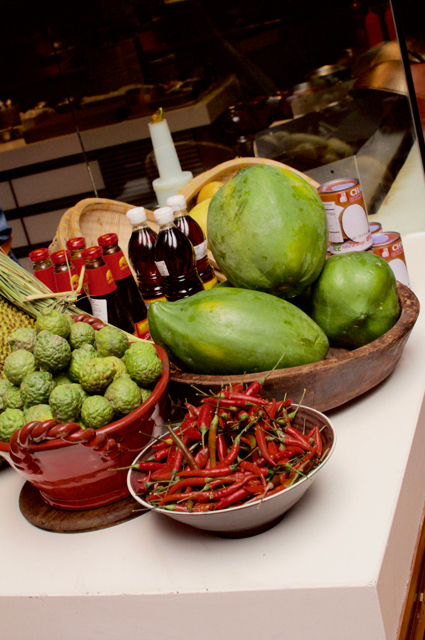 Now a festival like Thai Food festival can be boring. I mean, there are specialty Thai restaurants in Chennai and some very good ones, so what can you bring to the table that is new? Turns out you don't have to! 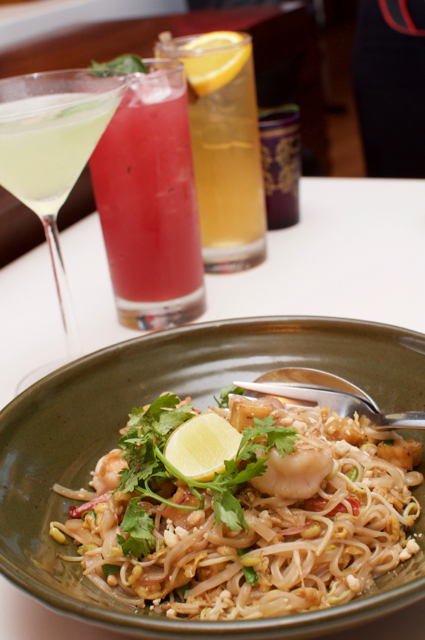 What better way than to fly in their Thai chef from Park Hyatt Dubai, a Thai native to whip up some for Chennaities? No buffet. Simply off the menu. Would have loved a set menu though, but knowing Park Hyatt, you simply have to tell the chef to create a four course meal for you and they will oblige! Being a bunch of five people, we had the freedom to try a lot of dishes. Amazingly, the vegetarians had a field day!!! 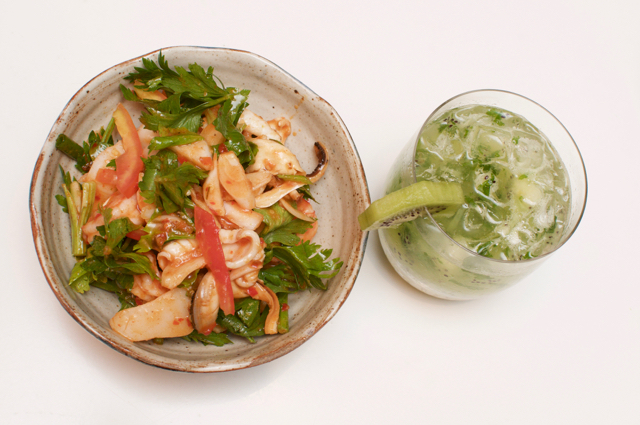 While the simple raw mango and peanut salad is quite common here, the second starter, the seafood salad was a stunner! Along with some mojito, the salad, with a melange of flavours, but dominated by a kind of chilli sourness was simply amazing. With prawns and scallops (I didn't taste any fish) it was a fabulous start to the meal. And then a fantastic dish. 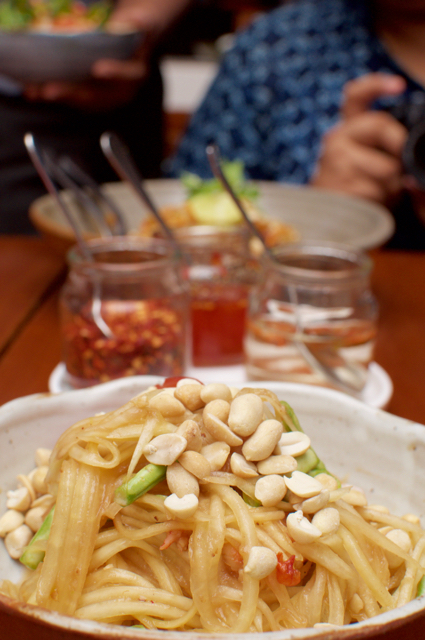 While our vegetarians friends could taste our seafood PHAD THAI, we all dived into their vegetarian PHAD THAI. With some crunch, it beat the non veg version by a mile! 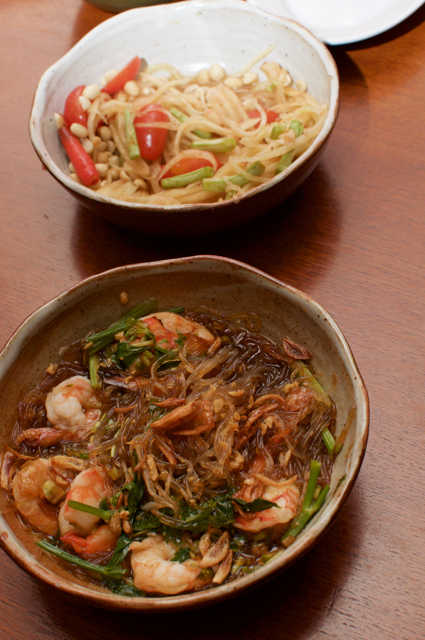 And then the non vegetarians had their trump card, the glass noodles with prawns!!! Lovely!! 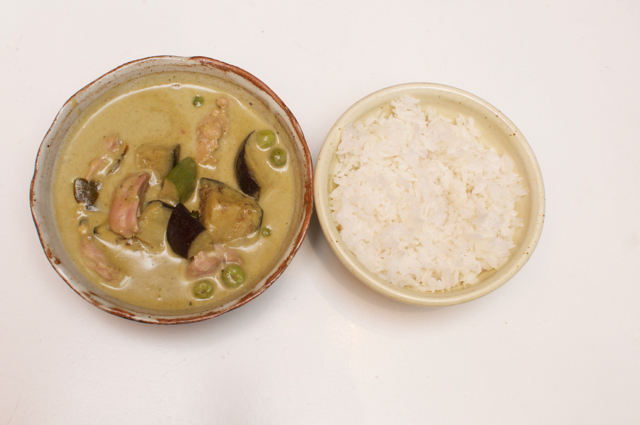 While we thought the best had come, there came the best dish of the day, the THAI GREEN CURRY. Mix with rice and it was heavenly! Desserts were simple. Everything had coconut milk and jackfruit and water chestnut! 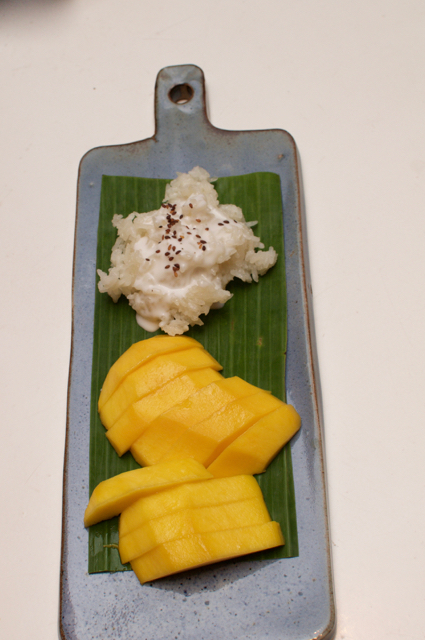 The sticky rice with mango was nice ending to the awesome meal we had!! The festival is on till the 29th of April and looks like we are having a deluge of food festivals in Chennai this month! Look forward to more in the coming days.